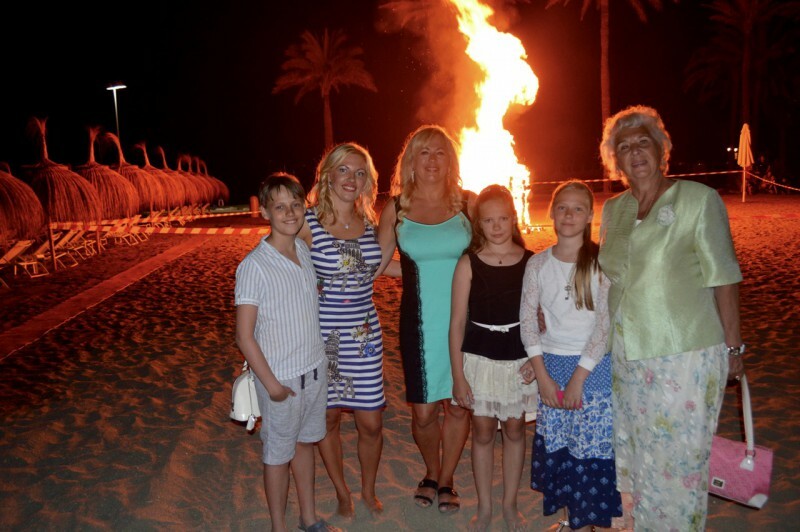 I have been celebrating San Juan in Marbella for the past six years, and it has always been a magical night! Midsummer's Day is a very important event back in my homeland, Estonia, celebrating the longest day of the year. Sadly enough, it often rains on the day of the celebration. I was very lucky to have my family with me this year! I wanted them to enjoy the very best -- the sea, the food, the music, and the environment -- that is why I booked a table at Del Mar Restaurant! The Beach Restaurant Del Mar located at Puente Romano Beach Resort and Spa celebrated San Juan 2016 in a very elegant and stylish way. The Executive Chef of Puente Romano Beach Resort and Spa Thomas Stork prepared a BBQ menu that was not only delicious, but also pleasing to the eye. It is located on the beach in front of Puente Romano Beach Resort to whom it belongs. The setting is really beautiful. You have the views of the beach and the see. Service in impecable and the food is the best I have had in Marbella. It is very romantic and we danced till midnight! The fire was lit at midnight, and we were giving our wishes away to the sea and the fire. Superb fireworks crowned the night, but the spirits were high, so we decided to spend the rest of the night at La Suite Club. My children Rainer Harley Urm and Arabel Urm made their own video blog on YouTube -- Brother Vs Sister. They also made a video blogi about San Juan at Del Mar Restaurant, which is to follow! Annika's Blog: 3 Days in Marbella - See for Yourself How Many Places One Can Visit! Annika's Blog: Flamenco and Walking in Marbella Old Town with My Family!